I have to make a disclaimer upfront. I’m a light packer no matter where I travel because I don’t like to check my luggage and pay baggage fees. 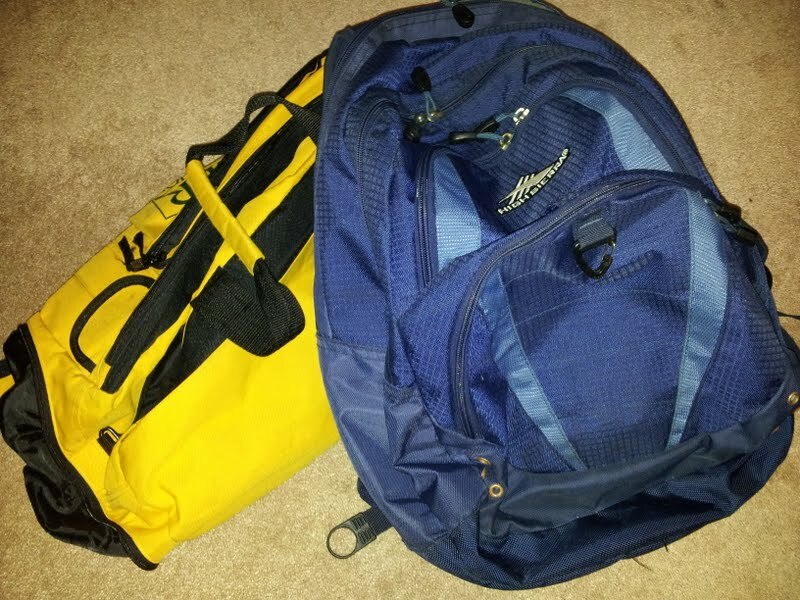 With that said, the following list is for the “minimalist” who doesn’t want to bring a bunch of stuff to Kauai that they’ll never use during their vacation. –Start with a small suitcase or duffle bag that will fit in the overhead bin, plus a backpack. Backpack can double as your beach bag and it’s handy for day hikes on Kauai’s many trails to carry water, snacks, and a rain jacket. I suggest tucking a small purse or fanny pack into the backpack for your wallet, airline tickets, keys, etc. 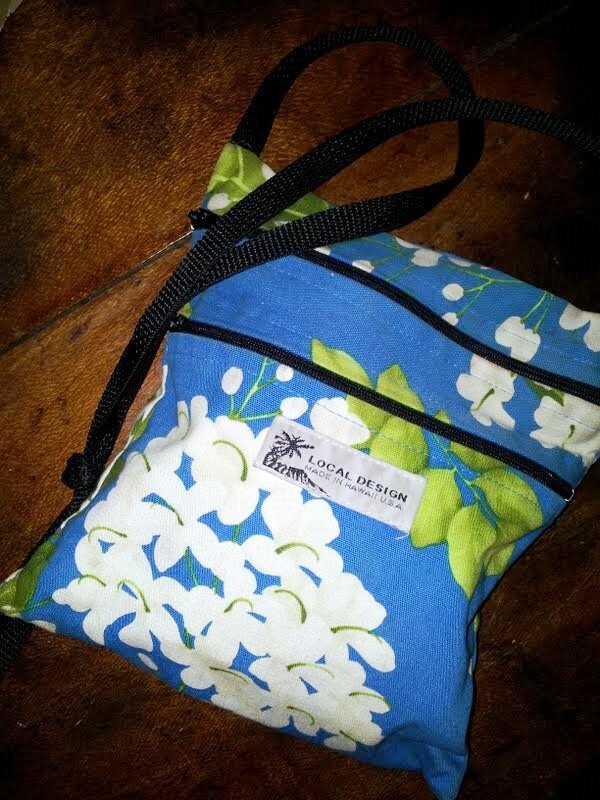 The cotton print mini-shoulder bag, pictured here, is locally-made and runs less than $20. –-Swimsuit/bikini. Assuming you have space, it’s nice to have two swimsuits if you plan to swim, snorkel, or surf every day. Good news: If your swimsuit is shot, you can buy one year-round on the Garden Isle. You’ll find inexpensive suits at Costco, K-Mart and WalMart. You’ll also find pricey designer suits at local surf shops and specialty stores. 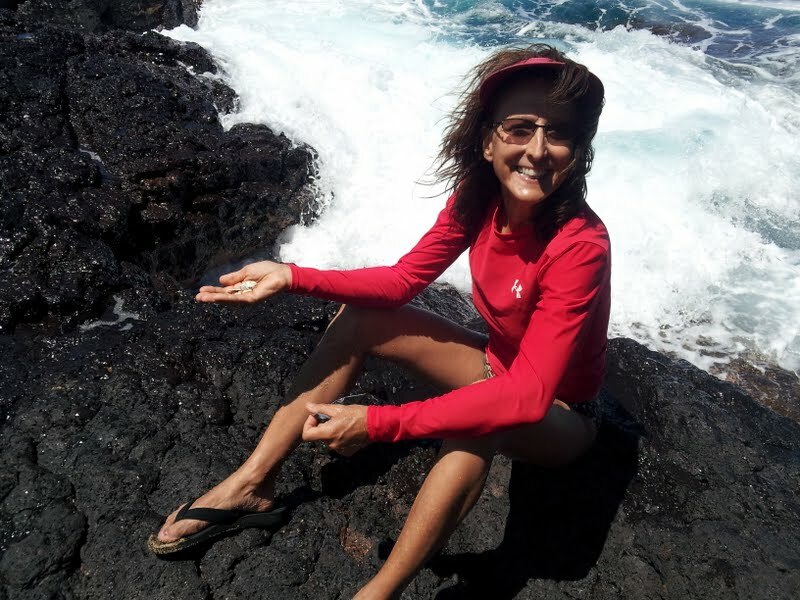 A rash guard is nice because it provides extra sun protection, so bring one if you own one because they’re kind of pricey on Kauai where they rarely go on sale. –2 pairs of shorts, Bermudas, or capris. –1 pair of long pants for cool evenings and/or hiking. –3 T-shirts/tanktops. 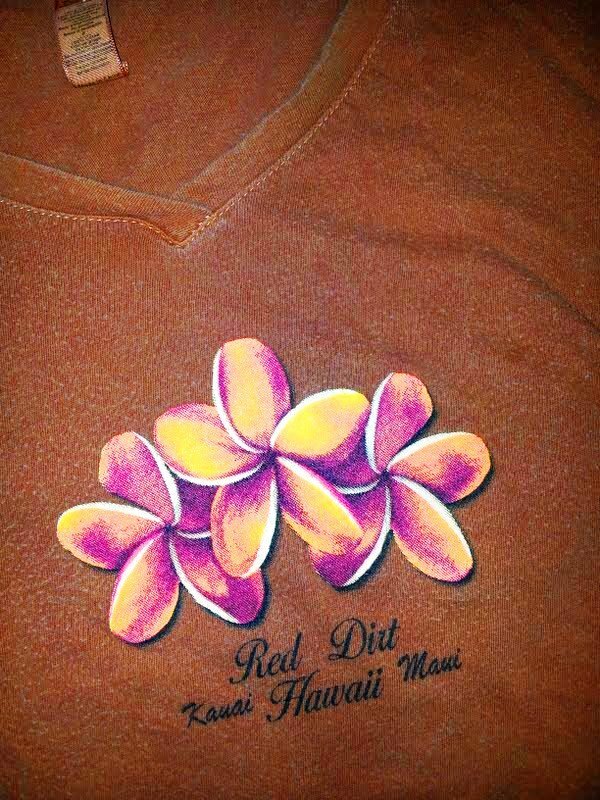 Pack less if you plan on buying one of Kauai’s “Red Dirt” shirts, or other souvenir T-shirts. Yeah, for real… You can buy a shirt dyed with local dirt. A YouTube video shows how “Kauai’s Red Dirt Shirts” are made at a local sportswear company in Eleele where the tradition began after Hurricane Iniki stained the inventory. –Ladies: 1 or 2 sundresses. They make great swimsuit cover-ups and can double as your “dress-up” clothes. They can be purchased for cheap at WalMart, Costco and a variety of flea markets in fun tropical prints. –Men: 2 casual shirts/polos. And, yes! 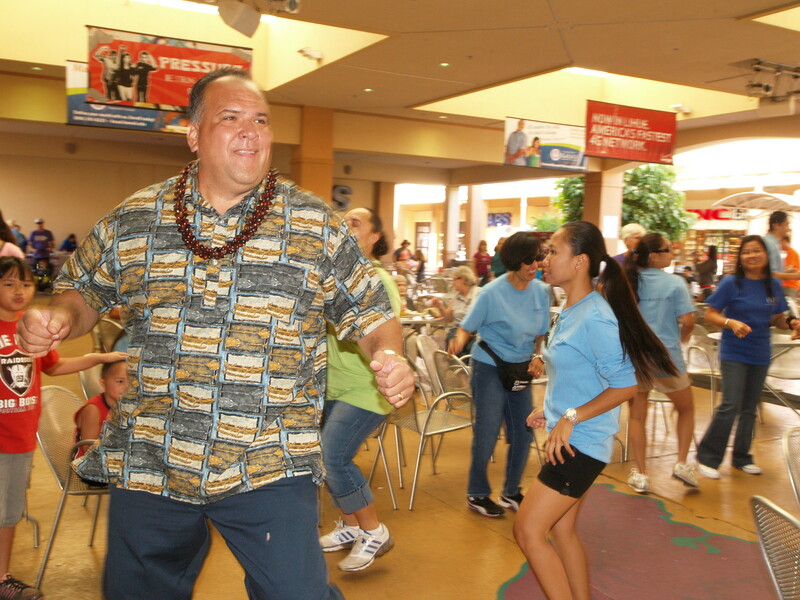 Hawaiian-print shirts are popular here. Even Kauai Mayor Bernard Carvalho has a collection. –Lightweight hooded rain jacket. Average temps on Kauai range between 75 to 85 year-round with the possibility of daily rain showers and the potential for strong winds and heavy rain in the fall and winter months when a trip to Kokee can be chilly (sometimes 10 to 15 degrees cooler than temps at the bottom of the hill). 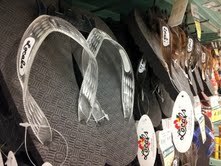 –1 pair of flip flops/thongs. Locals call them “slippahs” and they are the universal shoes on Kauai, so it’s OK to wear them to restaurants, church, etc. If you don’t own a pair, you can buy them nearly everywhere on the Garden Isle, including WalMart, Kmart, local surf shops, even at most grocery stores and some gas stations. –1 pair of sturdy tennis shoes, lightweight boots or Teva-type shoes for hiking. These shoes are guaranteed to get stained by Kauai’s red dirt and/or red mud, so don’t bring those nice new ones you want to keep sparkly white. –Socks. Same warning as above… Stains guaranteed. –Cell phone. Reception can be sketchy on Kauai, and non-existent on the North Shore past Hanalei, on the West Side in Waimea Canyon, and on most remote beaches. Still, a great way to take photos, check Email, and brag to your friends on Facebook that you’re hanging out in paradise. –Toiletries. Most hotels provide you with sample-size goodies. If you’re staying in a private home or condo, it depends on the owner. Full-size necessities are available at a variety of local stores. Be sure and buy some sunscreen after you land, and use it, because the trade winds can fool you and make you forget that the sun is still cooking you when it’s cool and breezy. I’m a mosquito-magnet, so if you also tend to attract those nasty little blood-suckers, you’ll want to buy some insect repellent and keep it handy, especially when you’re outside at dusk. Ladies: No need to overpack your cosmetics bag because heavy make-up melts in the tropical heat if you’re hanging out at the beach all day. My daily beauty routine: Tinted moisturizer with 15 spf sunscreen, and waterproof mascara. I add waterproof eyeliner and lip gloss for “dress up” and evenings out. Most hotels and private rental condos/homes provide hair dryers, but wash and wear hair works best when you’re in and out of the ocean multiple times a day. A lot of locals have long hair which they pull back in a ponytail or bun. I sometimes sweep mine back with real or silk flowers. Some generic tips if you have trouble packing light: Wear your heavy shoes/bulky clothes, pack neutral interchangeable colors so you can mix or match. Take a vacation from toiletry gadgets (Electric shavers, hair dryers, etc) and buy “cheap” stuff like sunscreen and shampoo locally. There’s a much quoted phrase in the travel industry: “Pack half the clothes and twice the money.” Pretty good advice for your visit to Kauai where prices of food, gas and activities can cause some serious sticker shock, but that’s the topic for another blog. Almost forgot the most important tip of all… Pack your luggage light, and leave your “baggage” at home. Seriously, Kauai is a remote island that offers stunning beauty, multiple locations to relax and discover tranquility. If you need a tourist mecca with every imaginable amenity, best to head to Oahu and hangout in Honolulu.